While the jury is still out on the box office fate of Sonu Ke Titu Ki Sweety, here’s a look at how Luv Ranjan's directorials have performed at the box office so far. 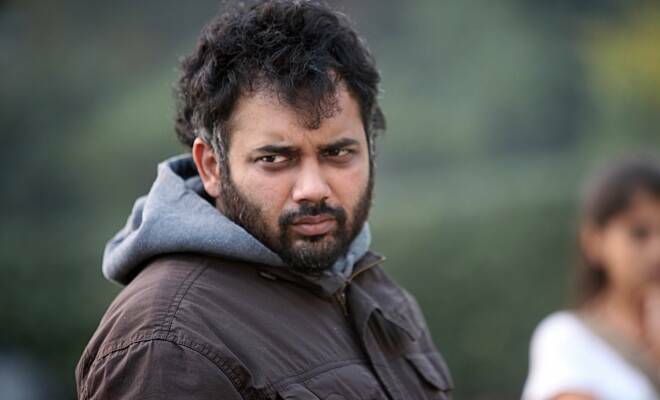 Luv Ranjan is best known for films like Pyaar Ka Punchnama 2 and Pyaar Ka Punchnama. Sonu Ke Titu Ki Sweety hit screens on February 23. The film is helmed by Luv Ranjan, who is best known for films like Pyaar Ka Punchnama 2 and Pyaar Ka Punchnama. Luv is also back with his most productive collaborators Kartik Aaryan, Nushrat Bharucha and Sunny Singh Nijjar, and the expectations are quite high. While the jury is still out on the box office fate of Sonu Ke Titu Ki Sweety, here’s a look at how Luv Ranjan’s directorials have performed at the box office so far. Pyaar Ka Punchnama: According to Bollywood Hungama, the first film of Luv Ranjan earned Rs 9 crore at the Indian box office. The romantic comedy, starring Kartik Aaryan, Raayo S Bakhirta, Divyendu Sharma and Nushrat Bharucha, Sonalli Sehgall and Ishita Raj Sharma, was also written by Luv Ranjan. Akaash Vani: Luv Ranjan’s next film was the 2013 release Akaash Vani and it starred Kartik Aaryan and Nushrat Bharucha. This film garnered only Rs 2.11 crore. Pyaar Ka Punchnama 2: A sequel to the 2011 film Pyaar Ka Punchnama, the film starred Kartik Aaryan, Omkar Kapoor, Sunny Nijar, Sonnalli Seygall, Ishita Raj Sharma and Nushrat Bharucha. The 2015 film can be called Luv Ranjan’s most successful film till date with earnings of Rs 64.1 crore, according to Bollywood Hungama. Sonu Ke Titu Ki Sweety is director Luv Ranjan’s latest film. As the film has received good reviews, we expect it to dominate the box office.